From Muscle Shoals to Mobile, Alabamians enjoy fabulous barbecue at home, at club meetings and at countless eateries. In the 1820s, however, a group of reformers wanted to eliminate the southern staple because politicians used it to entice voters. 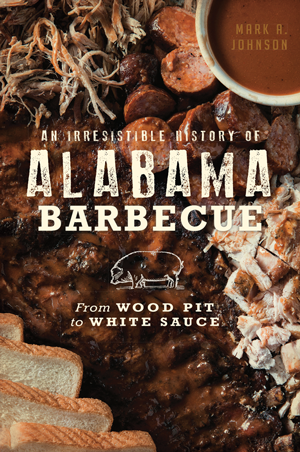 As the state and nation changed through wars and the civil rights movement, so did Alabama barbecue. Alabama restaurants like Big Bob Gibson's, Dreamland and Jim 'n Nick's have earned fans across the country. Mark A. Johnson traces the development of the state's famous food from the earliest settlement of the state to the rise of barbecue restaurants. Mark A. Johnson, from Milwaukee, graduated in 2016 with a PhD in history from the University of Alabama. Previously, he earned an MA from the University of Maryland and BA from Purdue University. As a professional historian, he specializes in the history of the United States and the U.S. South.